As your lawn and ornamental management specialists, we are responsible for the coordination of your integrated pest management (IPM) program outdoors. This implies that we will first see to the provision of adequate cultural controls (irrigation, nutrition, and cultivation) to strengthen your landscaping. Then we monitor the planted lawns, ornamentals, and trees for insect, arachnid, fungus, and disease related lawn and ornamental pest problems. We will only apply appropriate pesticides as needed. Plant and tree removal, replacement, and installation for West Palm Beach Florida residential and commercial property. Installation of seasonal annuals for West Palm Beach Florida residential and commercial property. Sod replacement and installation for West Palm Beach Florida residential and commercial property. Machine grading, lifting, and relocation (up to 5,500 lbs) for West Palm Beach Florida residential and commercial property. 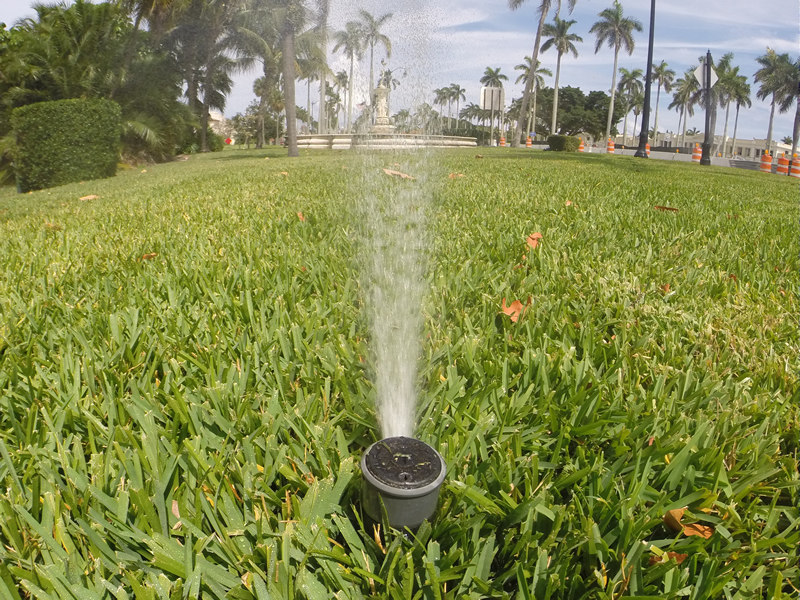 Application of supplemental nutrients for West Palm Beach Florida residential and commercial property. Electronic leak detection for West Palm Beach Florida residential and commercial property. Mulching for West Palm Beach Florida residential and commercial property. Tractor mowing for West Palm Beach Florida residential and commercial property.